The purpose of the design was to create a sophisticated, inspirational and functional interior with a fresh summer feel. 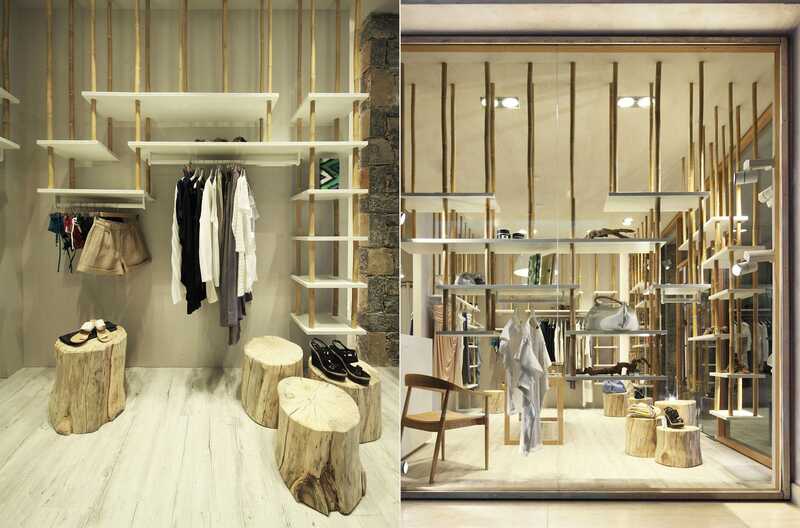 The shop has a suspended bamboo display system which is combined with wooden shelves that hold the system together. By creating a display system with inbuilt versatility , a playful and diverse arrangement can always be implemented. The flexibility of the system allows it to be easily adapted in further ‘apoella’ shops to come. The use of earth colors and texturized materials such as wood, bamboo and sand-color concrete coatings on the walls and ceiling, create a unique ambience, reminiscent of summer. 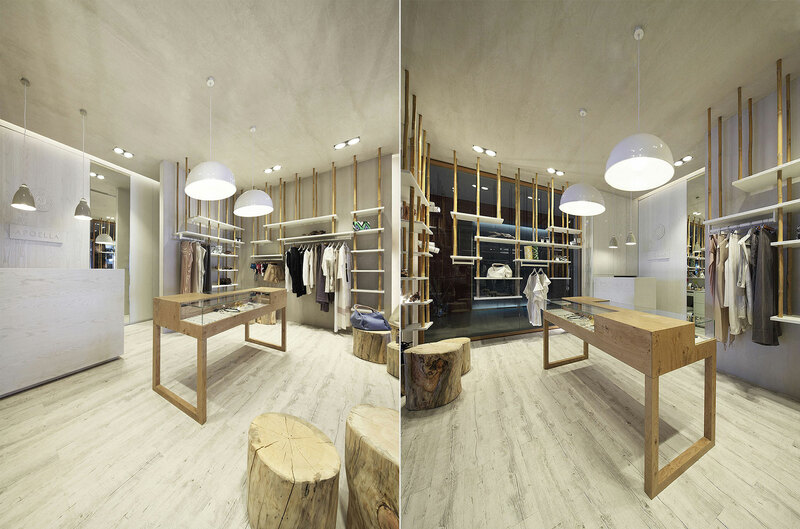 Wooden chunks are used as a floor display system, complementing the feeling of a natural scenery.